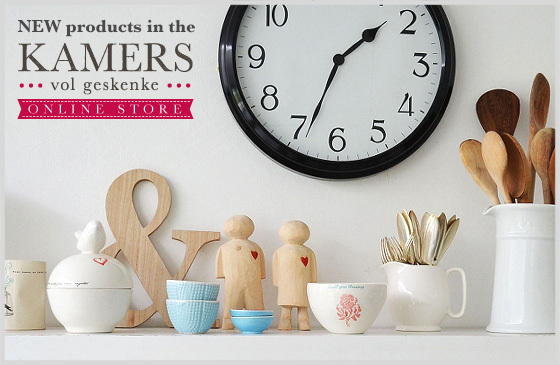 The KAMERS Online Store boasts a fresh selection of handpicked products inspired by spring. From delicate ceramics in whites and pastels, to pendants inspired by vintage records and the fauna and flora of the Cape, the shop has something for everyone. Dipped wooden spoons cover the latest trend, while funky mouse pads and various bags provide for the practical necessities. See for yourself here. We deliver nationwide, so KAMERS really does come to your doorstep. Meet Lize-Marie, the face behind the beautiful shop, on The Pretty Blog here. Tags: bags, ceramics, dipped spoon, KAMERS Online Store, mouse pad, pendant, Spring, The Pretty Blog, vintage. Bookmark the permalink.